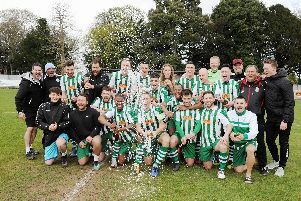 Burgess Hill Town's new head coach has changed the formation - but what other changes can we expect? Burgess Hill Town’s new head coach Simon Wormull is delighted to the way his players have adapted to his new formation. The former Crawley Town man has brought in a 4-3-3 formation - a style he believes he has the players to fit into. He said: “The first thing I did was change the formation because I have always played and coached a 4-3-3. “Although we have another formation we can play, that’s our primary formation. Wormull also hinted there would not be huge changes to the playing or coaching staff at the Green Elephants Stadium. He said: “We are looking to strengthen but to that we will have to look at where we need to cut as well. And there certainly will not be a whole new coaching staff because that’s what Wormull loves, and that is why he has been given the ‘head coach’ title rather than manager. He said: “I love coaching and like I told the chairman, I don’t want to be the manager and not have the coaching responsibilities. “That’s what I love to do. That’s why the chairman has gone with the head coach title. “Myself and John [Rattle] will look after all the things a manager will do. “There will be people coming in to help. I spoke to someone on Saturday who will do some scouting for us as that is really important.